I have been engaged in graphic design for many years, recently discovered a application on the Mac App Store which has been looking for years. 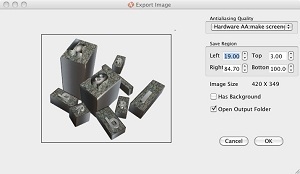 About six years ago, I have used some 3D software under the Windows platform ancillary products, such as XARA3D, but its function has been gradually was replaced by a variety of design software, and it does not support the Mac platform. 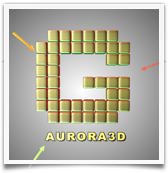 So then I no longer use this product.Aurora3DMaker, used to create high-quality 3D text and graphics, such as Logos, headings, titles, and buttons, etc., the production effect and efficiency are staggering. Publisher is Aurora3D Software, is a more than a decade in the 3D graphics development team. However, in modern graphics production, 3D effects need to become stronger and stronger. A lot of time, we have not in a complete graphics or Logo design approach using the plane design. We need more and more great impact in the performance of our design, we need to attract more customers to the eye of the highlights. Usually we will be according to the characteristics of light and shadow to simulate 3D effect in the graphic design software (Photoshop, Illustrator). Or we will use the complex 3D modeling software (3DMax Cinema 4D) rendering 3D graphics effect. The first drawback is the way the efficiency is low. The second way is to use high cost, and can’t be real-time rendering. For us this does not require complex modeling of the team, Cinema 4D seems too large. 1. 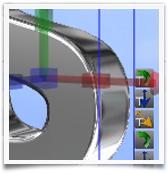 3D Manipulator: Drag the button at the right-bottom of an object, I can extrude the text or shape. You can control the object position, rotate and scale at X/Y/Z. 2. 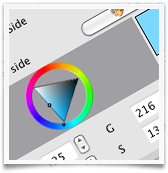 Free-hand Shape: Use the freehand shape tool, I can import .SVG, text to the canvas and edit the nodes of the shape. 3. Texture Effects: You can mix colors and textures, texture effects can be set reflection, mirror and transparency to create a glass, metal, plastic, wood, stone and other special effects. 4. 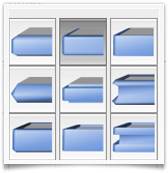 Bevel Style: Software have dozens of Bevel style, you can selecting the style and height to adjust the bevel of 3D graphics. 5. 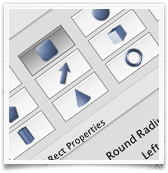 Definable shape parameters: square, curved, circular, rounded corners, etc. 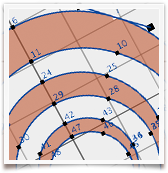 have their own parameters adjusted to facilitate the design of simple regular shapes. Supports a variety of shapes and distort effects. such as: sector, curve, arch, heave, sunken, wave. 6. Light control: The angle of the ambient light and the color, light and dark settings, is to improve work efficiency. 7. Variety of templates and fast style: built-in a variety of animation and graphics templates for beginners to learn without any difficulty, do not need any 3D design basis. There is also a variety of animation styles, the need to design 3D animation of people, this is a great feature. That’s a key of create animation effects. 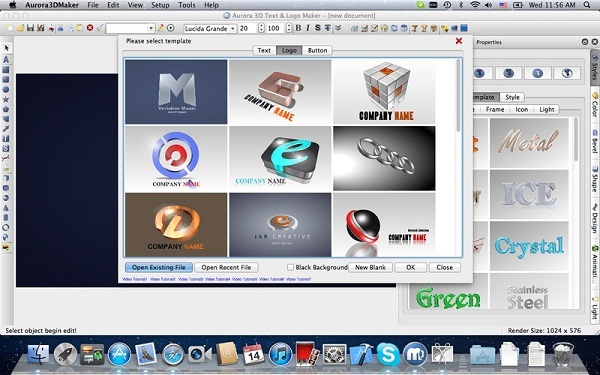 8 Export and Share: Export designs as PNG, JPG, Tiff, BMP, GIF, TGA files, which can be imported and edited in other illustration applications. 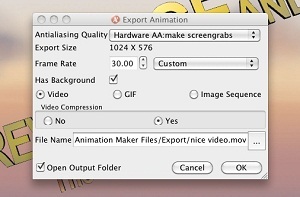 Export Animation to Movie, SWF(windows), GIF animation or Image Sequence as you like, Which can be imported and edited in other video edit applications. Can only say that I downloaded from a Mac App Store this software, 3D text and Logo design efficiency has improved a lot. I am here to strongly recommended because Aurora3DMaker not only give great help for design workers, but also provide a simple and quick to create 3D text, Logo, title, buttons the way, and I found that they also included Aurora3DAnimation – produced a series of 3D video title graphics related products. Thanks Aurora3D Software ( http://www.aurora3dsoftware.com ), for their provides us with such a stunning 3D graphics and easy to use design tools.